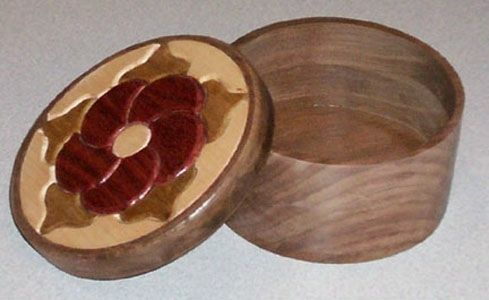 Small trinket box with intarsia lid. Approx 5" dia and 2" deep. Box is walnut, the top is redheart, maple, and imbula.